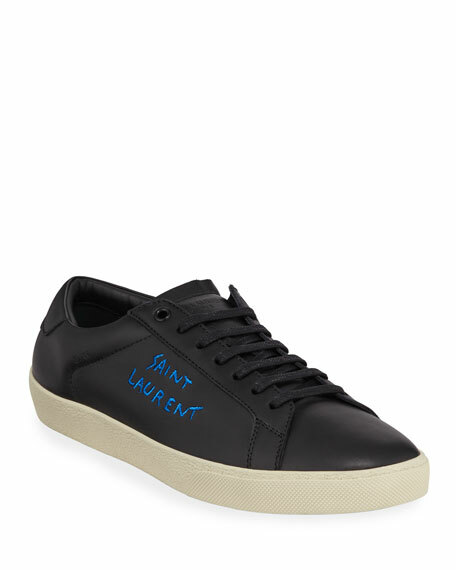 Saint Lauren leather sneaker with logo detail. 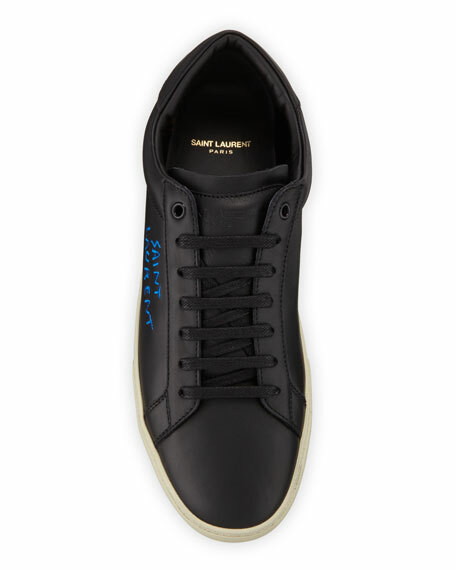 EXCLUSIVELY AT NEIMAN MARCUS Giuseppe Zanotti calf leather sneaker with metallic and stud trim. Platform heel. Round toe. Lace-up vamp. 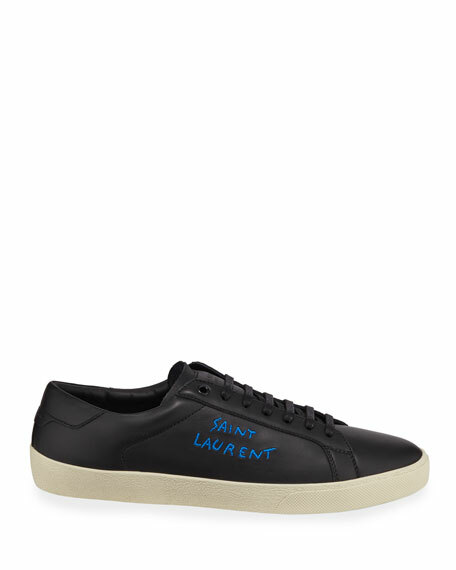 EXCLUSIVELY AT NEIMAN MARCUS Giuseppe Zanotti calf leather sneaker with metallic and stud trim. Platform heel. Round toe. Lace-up vamp. Dual side zips. Logo at tongue. Leather lining. Rubber outsole. Made in Italy.